Soooooooo, what are YOUR New Year's resolutions? Hmmm? I always have the most popular resolution...to lose weight. Anyone else with me on that one? I know it is still early to be thinking about the New Year, but hey...isn't it always on your mind those extra pounds that you want to shed? Yup...that's what I thought. I was skeptical when I was offered this book to review. One look at the cover and I immediately said, "nope...this isn't for me". The cover shows food but not the food I am used to eating. I saw fruits, vegetables, nuts, grains, and chocolate (I was used to that!). I saw no meat, no cheese, no butter, no candy, no ice cream...waaaaahhh! NOT a good diet for me. BUT, how quickly my mind changed once I began reading. 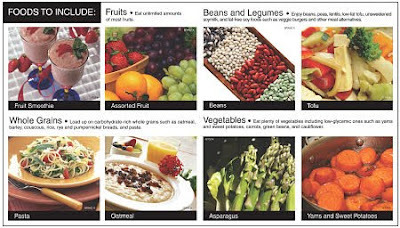 The Perfect Formula Diet was written by Dr. Janice Stanger. 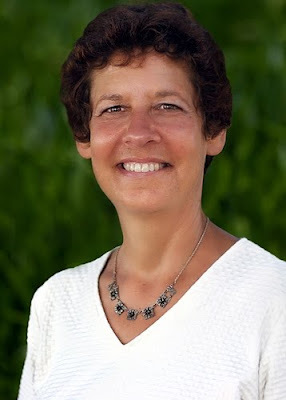 Janice holds a Ph.D. from the University of California and is certified in Plant-based nutrition through the T. Colin Campbell Foundation and eCornell University. Her credentials also include an M.B.A from University of California, Berkeley. I take all of my reviews very seriously and like to really touch, taste, feel and experience first hand the products that I review. Well, after two pregnancies, health challenges and weight gain that was slowly starting to creep higher and higher, I thought that it would be a wonderful idea to give this book a chance and really put it to the test. Before I even began my journey on the Perfect Formula Diet, I picked up the phone and called Janice personally. I wanted her to know that yes, I wanted to try the diet and that YES...I was terrified. LOL! I was scared because I wasn't sure I could do it. I was also scared because I didn't want to give up the foods that I loved. I am a HUGE meat, cheese, ice cream and junk food fan and could not imagine my life with out those foods. After speaking with Janice for over 45 minutes (and calling her "Shirley" at the end of the conversation...oops...) I was confident that I could do this diet. She was sooo encouraging and helped me see that once upon a time, she was in my shoes. How powerful testimony can be!!! I jumped right in that evening and started the Perfect Formula Diet...determined to be successful! One of my major downfalls is portion control. I don't stop when I am full because I don't listen to my body tell me I am full. When you are on the Perfect Formula Diet, you are eating whole foods and can basically eat as much as you want...just as long as it is a whole food. One of the things that I noticed while on this diet was that I didn't feel hungry after eating. I ate a farely good size portion and didn't have cravings at all. When I would eat something that was not a whole food, I would get hungry shortly thereafter. 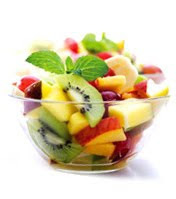 That is one of the beauties of this diet...it fills you up without creating cravings. It's also very important to take a B12 vitamin and add 2 tablespoons of flax seed to your diet daily. I put the flax into my smoothies...sooo good! You would be amazed at how many foods are included in these categories. For me, I had to really think "outside the box". 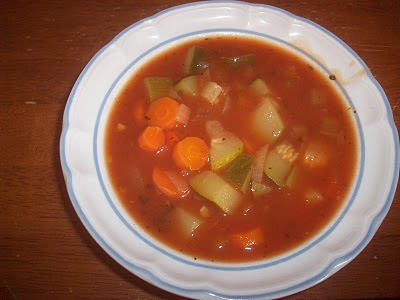 I had been used to eating mainly processed, canned and frozen foods. My family is very unhealthy when it comes to our food choices and I now see that I am part of the reason because I am not setting a good example. I had a blast shopping for this diet! I found so many new foods and fun snacks too. So, I went from eating a bowl of ice cream every night to eating 12 whole almonds for a snack. I went from eating boxed macaroni and cheese with hot dogs to eating a fresh romaine lettuce salads complete with carrots, black olives, tomatoes, garbanzo beans, and Italian dressing. I will say that I did the diet completely vegan for one week. After that, I did incorporate some dairy and meat back into my diet. BUT, during that first week, I lost 7 pounds. I was shocked! One difficult thing for me was the detoxification process. My body was experienced and reacted to a major overhaul in my eating habits. I had a headache and felt really groggy for several days. I began eating more fiber and noticed that my breast fed, 5 month old son was also detoxing (VERY crabby and fussy)...poor guy! But thankfully, it lasted no longer than a week. We are now both nicely adjusted! Some of my favorite meals and foods that I ate (and still eat) are: Sweet potatoes with green beans and mushrooms, a variety of leaf salads, rice dishes with veggies, fruit and green smoothies, whole wheat bagels and bananas. I began this diet at 238 pounds and now I am at 225 pounds. I may not LOOK much different from when I started, but I FEEL so much better! I know I didn't stick with the Perfect Formula Diet 100%, but I know that if I did, I would lose weight consitently and continue to feel even more better. My two year old now loves to share my smoothies (or "moosies" as she calls them) and she is eating more healthy than she ever has. The one thing I did not like about this book was the idea that animals are not to be eaten. I personally do not have a problem with eating a steak once in awhile, or enjoying a piece of fish now and then. Being a Bible believer, I believe that man is to have dominion over the animals and that they were given to us, by God, to be eaten. Take it however you will, but that is my opinion on that. Other than that, The Perfect Formula Diet book is fabulous and a good read! So, in my opinion...The Perfect Formula Diet has really changed the way I eat and has re-vamped my eating habits. I LOVE this diet and know that when done properly, it WORKS. I tried it and can testify to it's power! This book is amazing and can transform YOUR life! Tell me what your new years resolution will be in 2011. You do not have to be a blogger to enter, but you must have a valid email where you can be reached should you win. If you do not leave an email address, it must be where I can easily find it. This giveaway is open to US residents and will end 12/30 at 11:59 pm EST. The winner will be chosen using random.org and will be notified by email. The winner will have 48 hours to respond, or another winner will be selected. 5. Blog about this giveaway. Leave a comment with a link. 2 entries, so 2 comments. Disclaimer: I received no monetary compensation for this post. 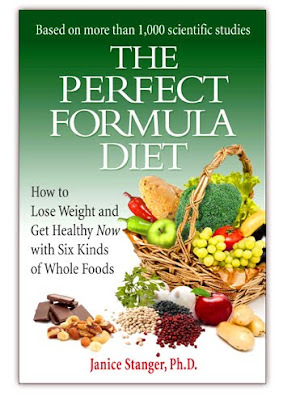 I did receive a free "The Perfect Formula Diet" Book for review purposes. All quotes are from "The Perfect Formula" website, book and email. All thoughts and opinions are mine. I have not made one yet, but my New Year's Resolution might be to learn more about things that I only know a little about. Very inspirational! keep up the great work! Your body will only continue to respond! Well, I would say lose weight....but maybe a better thing to say is get healthier...and lose weight will just be a by-product of that. I really do need to lose weight...a lot (100+). I want to do it the healthy, safe and long lasting way! My resolution will be to put my health back on my priority list. Having a baby really knocked it back a few notches. Before I got pregnant, I *was* vegan, worked out every day, rode my bike instead of using the car.. ect. I felt GREAT. I feel sluggish and yucky all the time now! I sent janice a friend request and told her you sent me! My new year's resolution is to use more coupons and give more hugs! I do follow you on twitter: piecesofdawn. My New Year's Resolutions include eating less processed food and exercising daily. I follow you via GFC: allibrary as well as by e-mail subscription.